The opening sentence of A Bushel’s Worth reads, “In the rural economy of my childhood, everything had measure.” How is this idea reflected through the theme of thrift in the book? How is memoir itself a genre of “measure”? On page 13, Short defines “farmgiving” as “the boundless and bountiful generosity created by placing our lives alongside the land.” What examples of farmgiving do you see in A Bushel’s Worth? What examples of farmgiving do you see in your own life? Chapter pairs like “Red, Red Barn” and “Horse Barn, Milk Barn” or “Toppings to Share” and “Cooking for Threshers” compare experiences between Short’s grandparents’ time and her own. What similarities and differences does Short present between earlier farming eras and farm life today? Short writes that community supported agriculture developed from the Japanese idea of teikei, or “putting a farmer’s face on food.” What does that idea mean to you? What connections do you have—through family, food, lifestyle—to farms? How might you create new relationships with farmers? Stonebridge’s slogan is “When the community feeds itself, the land and the people prosper.” What lessons about community can be learned from A Bushel’s Worth? In the chapter “Mountains to the West,” Short discusses how her life has been shaped by the topography of the Rocky Mountains. Has your life been influenced by the geographical area in which you live? How? In A Bushel’s Worth, Short is both a writer and a reader. What types of texts, artifacts, and images does she read throughout the book and what does she learn from her readings? What might the author mean by the subtitle, “An Ecobiography?” What makes A Bushel’s Worth an ecobiography? 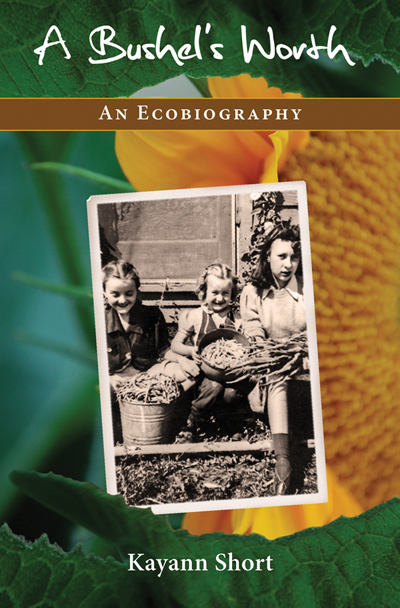 How is an ecology-based memoir different from other memoirs? How might ecobiography differ from nature writing? How might you think about your own life story and personal development in relationship to the natural world?